Matrix-Q Human Enhancement program, is developed without the use, prescription or consumption of any form of psychoactive drug, new psychoactive drugs, synthetic or designed drugs, or traditional (cultural) psychoactive drugs. According to studies on human stages of development by the Matrix-Q Research Institute, for the purpose of human enhancement there is no need of use of psychoactive substances. 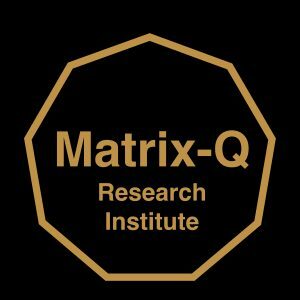 ” The use of Matrix-Q Knowledge, Skills, Tools, Data, Technology, Standard brings as result an enhancement of the human as a whole, a process that should be naturally developed, never forced and self-paced. (new) Psychoactive drugs produce a profound neural experience, changes in the synapses, manipulation of neurotransmitter, and other changes in the brain, experiences in the nervous system and in the overall body. For that reason, all natural changes (human enhancement) achieved by the individuals that apply Matrix-Q will get overridden. We would like to support humanity achieve an advanced stage of development, but abuse, and leisure consumption of psychoactive drugs (natural and designed), only produces a damage of the process of natural enhancement. A image that describes the dimension of the damage is like that of a boat that travels among the ocean with peaceful waves, and can for that reason find its way; the consumption of psychoactive drugs can be compared with a storm, with giants waves, if the boat survives it, will land into a new destination, along a process without control which can not be traced back to its origin. Once the psychoactive drugs have produced changes in the human individual, those changes can not be reverted. As for anything in life, once the changes has been made, reversion to a previous state in time is not possible. In general addiction to sugar, alcohol, and other substances that produce enough changes in the brain, can be considered as a condition that do not enable human enhancement. Individual may take courses, and train continuously, but the results will be chaotic and never stable enough to produce the wished stability of results and systemic responsible application capacity enhancement. For this reason, the Matrix-Q Research Institute has a strong policy for Psychoactive drugs consumption prevention. It is our statement that any learning process, including academic education, education of children and youth, as well education of adults, should be protected with similar policies and control practices. At the time in which professionals and entrepreneurs, leaders need of learning skills and learning ability has become a necessary added value, an investment is needed in field prevention and protection. Fo example, Matrix-Q students before, along and after training programs should be drug free. As well our students should take part into a continues program on addiction prevention. While we do not do drug tests, at the Matrix-Q Research Institute we apply our own methods for evaluation of the individual stability and ability for own human enhancement, through digital and experiential ongoing gamified process of evaluation integrated to every training program (Matrix-Q Quantification of Human Capital Value) adjusted to the actual season challenges and needs (short term) and also long term and goals of customers, our academic program and of our organization. As learning ability and performance for learning needs to be enhanced, the protection of the biological ideal conditions for enhancement is necessary, prevention of abuse/consumption of psychoactive substances, and in general addiction is perceived as a common trait and trace in human individuals and collectives, around the world, expressed through several forms, from psychoactive consumption, leisure drugs, to food, media, and others.